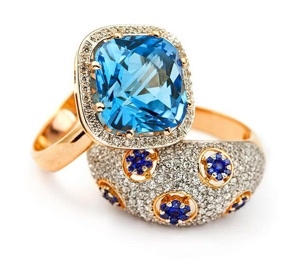 Rasmussen Diamonds is uniquely qualified to appraise your fine jewelry and gemstones. Our experienced staff has the background and gemological training to do a professional job of evaluating the current value of your precious keepsakes. Rasmussen Diamonds is proud to have a Certified Gemologist Appraiser on staff. There are only 400 CGAs in North America. All CGAs must recertify for their title yearly. Our on-site gem laboratory is accredited by the American Gem Society and the Independent Jewelers Organization. Our appraiser is also a Graduate Gemologist from the Gemological Institute of America. Established in 1931, the GIA is the world's foremost authority on diamonds, colored gemstones and pearls. The Graduate Gemologist diploma is their highest title, with the only passing grade being 100%. Appraisals are done by appointment. You may schedule your appointment below.